CIBII interviews: Dr Amy Brown, author of Breastfeeding Uncovered | Can I Breastfeed In It? perhaps you read How The Myth or Why Fed Will Never Be Best: The FIB Letting Our New Mothers Down. Recently Amy has written a book called ‘Breastfeeding Uncovered’ which looks to try and channel the whipped up, raw emotion surrounding the topic of infant feeding into the betterment of breastfeeding support. I caught up with her to try and find out what drove her to write this book. Can you tell us more about your qualifications as a doctor? What are your areas of expertise? What prompted you to become passionate about breastfeeding? And how long has that passion been there? My background is in Psychology. I was always interested in why people made the choices they did around health, particularly around nutrition, but also had a fascination with infant development and parenting. Attachment and responsive parenting were some of my favourite subjects as an undergraduate but I also remember a lecture on the importance of breastmilk, particular for special care babies. This lecture stuck in my mind but was buried until some years later! With this in mind I started a PhD in 2005 exploring nutrition in older children but very soon after became pregnant with my first baby. Up until then breastfeeding was not something I’d really thought about (other than that lecture which had alerted me to its importance). I thought you just breastfed, and that was it. Just a simple decision right? As my pregnancy progressed I soon realized that the world of infant feeding was very complex. I met lots of new mothers who had wanted to breastfeed and hadn’t been able to, and heard lots of strange information around how you should care for babies that didn’t fit with what I had learned about attachment. I was fascinated by how something so seemingly normal and beneficial to babies could be so difficult and why people held these ideas that responding to babies was somehow wrong. So, feeling I might as well combine being a mother with this new found fascination and changed my PhD to explore why there were so many barriers to breastfeeding. Specifically, I looked at attitudes towards when and how much babies should feed, what was driving these beliefs and how they affected whether a baby was breastfed or not. Overall I found that beliefs about using a strict routine for feeding were often driven out of either anxiety or desire to get a semblance of ‘life back’ but using these routines often led to breastfeeding stopping. Everything pointed back to the importance of responsive feeding (and responsive parenting) but our society seemed to take particular issue with caring for babies in this way. From there I went on to more widely research this idea of how psychological, cultural and societal factors could influence breastfeeding, particularly through often inadvertently damaging milk supply. I’ve now published over 50 academic papers exploring how these social issues can be damaging physiologically to breastfeeding, through altering behaviour which leads to a reduction in milk supply until women are left with physical difficulties. I’ve combined all of this work into Breastfeeding Uncovered, alongside similar work in the area, to really consider how as a society we can make a change to breastfeeding rates. Do you consider yourself to be a ‘lactivist’? What does that term mean to you? I’m most definitely a lactivist in that I spend considerable time fighting for mums and babies to have a better environment in which to breastfeed in. I believe lactivism is passionate activism to make a change and I strongly believe we need a change in the way breastfeeding is perceived, and society is set up to support it, if we want breastfeeding rates to rise. I want to see a society where more babies are breastfed simply because it’s the easiest choice for women, because society enables them to spend time caring for their babies, and offers them nothing but support rather than misunderstanding or even derogation. Lactivist can sometimes be thrown at me as a dirty word. Many an angry person has told me on twitter that I’m ‘demonising’ mothers who formula feed. Simply, I am not, although I sometimes think that when I say ‘we need more support for breastfeeding mothers’ some hear ‘You’re calling me a terrible mother for formula feeding’. I’m very much for informed choice and although I wish more babies were breastfed, I realized it’s not the choice for all. What I desperately want to see though is for that to be an actual straightforward choice, not one where women come to the decision to stop because of barriers placed in their way. It’s these women I am passionate about trying to make a better future for. One issue within all of this is that supporting breastfeeding and trying to remove the barriers placed in the way of mothers who want to breastfeed has nothing to do with mothers who have chosen to formula feed, but is often perceived as judgement. For those who have had to stop breastfeeding before they are ready, I hope one day we will be able to campaign for better experiences for breastfeeding mothers without triggering the awful emotions those mothers can experience. I’m currently doing some research into the best way we can promote breastfeeding whilst caring for the emotions of those who couldn’t. But it’s vital that we create the best possible breastfeeding environment for future mothers and babies, so fewer mums end up feeling this way. If you were made Health Secretary tomorrow, what would be the first thing (related to breastfeeding) you would try to change? Just one thing?! Ok, if I have to choose I would bring in far more support for new families. I am deeply envious of the model in Scandinavia where mothers have longer and better paid maternity leave and fathers can have a well-paid chunk of time (around 3 months) in addition to the mother. I would also invest in carers for new mothers – not just health professionals who do health checks, but people who could offer new families support with cleaning, cooking and other children just for a few weeks so new mothers could really get breastfeeding off to a good start. I would also make sure health professionals have more time, and excellent training, so they can emotionally support families as they go through this adaptation. In other cultures, they care intensely for their new mothers. My international students often come from countries where many new families do not have sanitation or a water supply to their homes, yet my students are horrified at how we treat our new mothers. Leave them alone?! To care for a baby?! In their cultures for the first six weeks, extended family and communities come together to care for that mother so she can focus on her baby and getting stronger after the birth. I’m not suggesting everyone’s extended family come round for six weeks here, but certainly we need to learn to mother our mothers – to care for them so they can care for their babies. A mixture of anger at how our culture lets women down and passion to make a change! I think it is criminal that we urge new mothers to breastfeed and then offer little quality support once they have their baby. We set women up to fail. I was also frustrated at the lack of understanding of normal baby behaviour out there in that we are obsessed as a society with the idea of ‘good babies’ who sleep through the night, feed every four hours and are placid in between. These perceptions really damage breastfeeding (and new mothers’ confidence) and they need to be changed! I’ve spoken to so many mothers who have said “I wish I knew all of this earlier’ and that’s really what led me to writing the book – wanting to make breastfeeding a better experience for as many as possible. 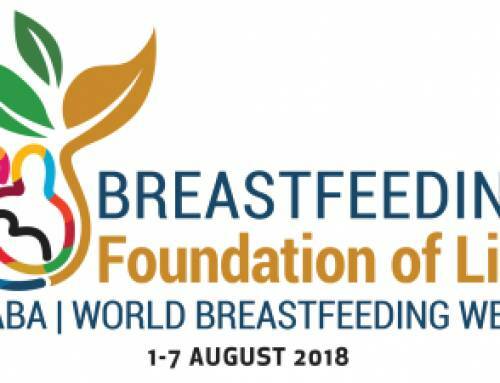 The aim of Breastfeeding Uncovered is to improve understanding of how breastfeeding works and to highlight the multiple social and cultural factors that can damage breastfeeding – and what we can do about them. It’s certainly a call to action! What is the most important advice you would give to a first time mum? Don’t listen to people who tell you that you must get your baby in a routine, that you can spoil your baby or any daft advice about ‘making a rod for your own back’. Cuddle your baby whenever you and they want. Don’t think you’re ‘failing’ if they wake up lots at night – they’re designed to! Feed them whenever they want. Respond to their needs. Never think this will make them overly dependent on you, it won’t – in fact research suggests babies cared for this way become more dependent sooner, as they feel comfortable and secure. This time feels like it will never end but it will – and then you’ll miss that tiny baby whose whole world was you! However, we were not designed to do this alone. Call in all the support you can. Let people look after you so you can look after the baby. What would you want to say to a mother who has found herself using artificial milk due to a lack of support and feels guilty about it? This one is so difficult. I remember the days of breastfeeding when I was exhausted and so tempted just to stop, but the guilt and anxiety those thoughts brought. We really need to recognize the damage not being able to breastfeed can do to new mothers. Women often tell me their stories about how upset they felt when they stopped – and these women are not new mothers, women in their 80s and older tell me about the emotion they still feel. This is actually what drives my research – to try and reduce the number of women who feel this way by reducing the chances that they’ll face difficulties. To a new mother feeling this way I would recognise the strength of how she felt. This is so important – there is SO much emotion there. But I would also emphasise how much she had tried, but factors that were outside of her control. This is a key reason to my research and for writing my book – to emphasise just how many external factors are influencing breastfeeding and that no one should be blaming any individual mother. One of my aims at the moment is to try to harness the emotions women can feel in order to demand better breastfeeding support. If we could direct those emotions towards the government, I really think we could help ensure that future mums have a better deal and are less likely to feel this way. But of course, this is really difficult, especially in the aftermath of feeling like you have ‘failed’. It’s a big ask. I also think it’s important, no matter how much we know the value of breastfeeding, to realize that it is just one part of a baby’s life. An important one yes, but as children get older we all end up not being able to do the ‘best’ (or what we would like) for them in one way or another. Personally I may have been able to breastfeed but had to make other decisions that might not have been ‘best’ based on what was right for my children in the bigger picture. However, I realize how much emotion is attached to breastfeeding, and it is this emotion that really drives me to help create a better breastfeeding environment. What do you consider to be ‘good breastfeeding support’? Good breastfeeding support is multi layered. Physical skill support is important but research shows that mums really want the emotional side too. 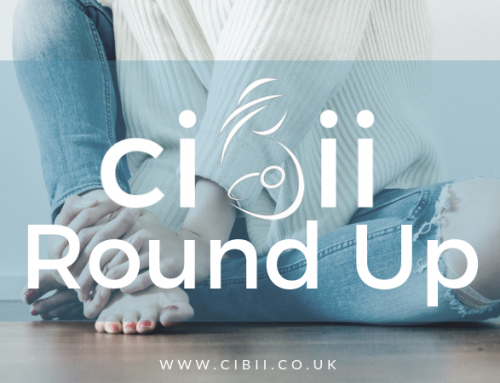 It’s important that mums are able to talk about how they feel, including how exhausting it all is, without someone telling them just to give formula! This is where good peer support is vital – being able to be around others who are going through the same thing, or have been through it and survived, can really help with motivation. We also need to make sure new mothers (and those around them) really understand normal baby behaviour and the importance of responsive feeding too. It’s one thing to get the baby latched on but another to realize it is normal to have to keep feeding and feeding and feeding… and through the night! Too often mums worry this means they don’t have enough milk when things are progressing perfectly normally. I think really we need to widen our perception of support to the public – we need to support the public to be knowledgeable in supporting new mums. Without this you can support the mother all you want, but her experiences around her will make things challenging. Do you think breastfeeding advocacy can sometimes come across the wrong way, for example, ‘militant’? If so, what advice would you give to those ‘militant’ advocates, who are currently feeling angry at the whole situation and end up clashing with mothers who have chosen to bottle feed artificial milk? I think sometimes yes but it is very rare that this comes from a truly judgmental place. I think some people are so passionate about it that they forget about the complexity of breastfeeding in our current society. However, I think many passionate people are misunderstood and when they campaign for breastfeeding this is taken as a judgement against bottle feeding which just isn’t true. My motivation comes purely from a desire to help more mothers to breastfeed and I have never said anything critical about mothers who bottle feed – yet I have accusations thrown at me almost daily. It is an extremely emotive area and we must find a way through it that manages to enable breastfeeding but not ignite raw emotions. Lastly, to keep it relevant to the blog, do you have a favourite breastfeeding-friendly item of clothing? When I had my first baby I very quickly learned to wear a long vest under whatever top I was wearing so I could do the ‘lift one up, pull one down’ trick when feeding in public. I breastfed or was heavily pregnant (and needed that extra length!) back to back for around six years so got very used to it … and still have a habit of doing it now, ha! There also seem to be a lot more beautiful wrap dresses around now compared to when my babies were little, and I often think ‘that would be great to breastfeed in’. Definitely not having any more babies to test that though! Buy your copy of ‘Breastfeeding Uncovered’ from Pinter & Martin or Amazon today!